OPINION — Several years ago I started using game cameras. Granted, I was a little behind the times, since game cameras had become popular many years before. When friends asked me why I didn’t use them, I would always say it degraded the challenge between the hunter and the prey, and that I was a purist. Actually, I was just too cheap to spend the money. But when I started using cameras, finally, I realized what a huge benefit they could be. I could tell exactly what time of day the deer were coming to my feeders, and see what the bucks looked like, and I could tell if any bears were showing up. 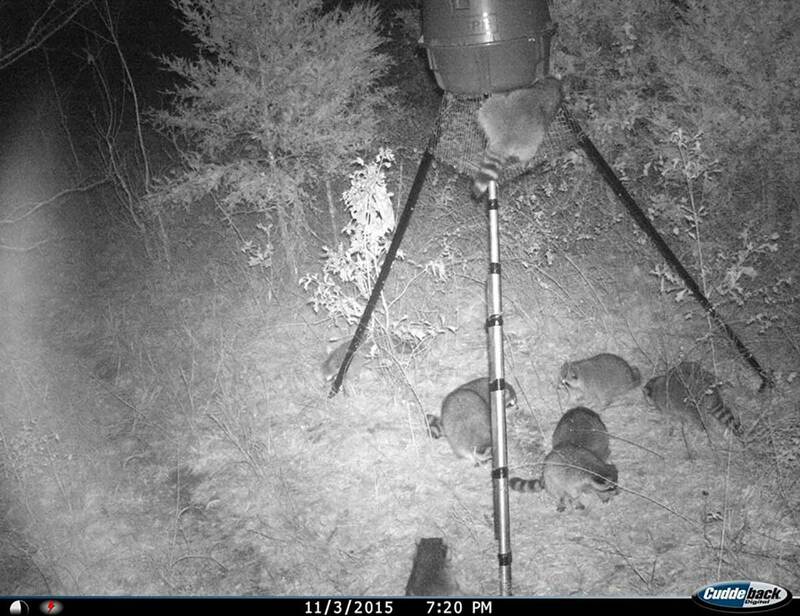 Not that I ever got any pictures of bears on my Central Texas game cameras, but it pays to be prepared, with bears. Cameras also provide other benefits, such as recording pictures of thieves. That’s what happened near Park City, Utah recently. 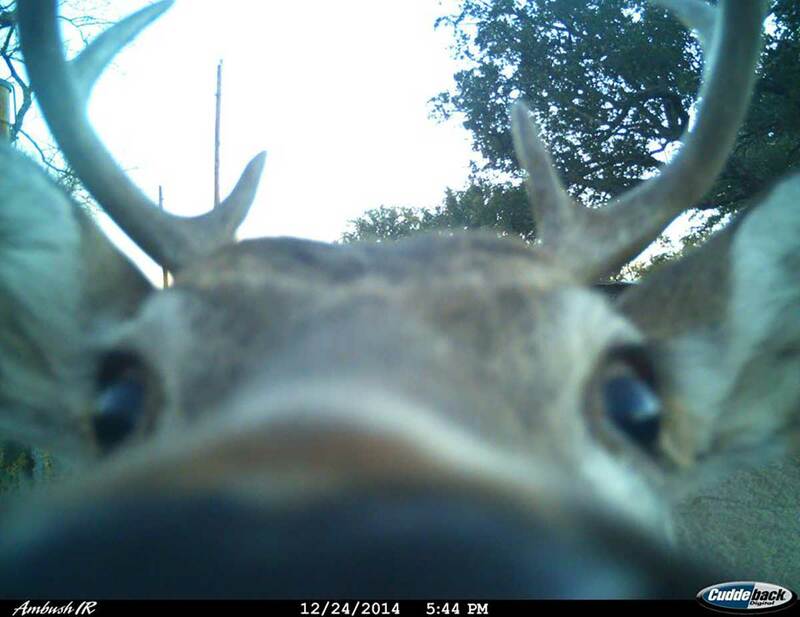 A fellow named Skip Roberts had a deer stand and a game camera set up on public land near Park City, and when he went to check the SD card a while back, it wasn’t there. Neither was his camera. Or his ladder stand. Someone had stolen the whole kit and caboodle. Assuming he had left his kit and caboodle in the stand. 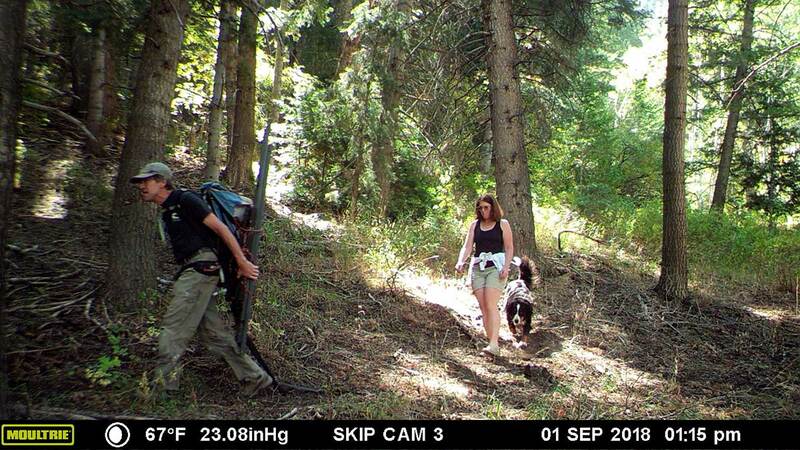 But Skip had another camera set up, aimed at the trail leading to his stand, and the thieves missed that one. And when he checked the card, Skip found images of the thieves in the process of hauling off his equipment. It was a man and his wife and their dog, although I hasten to point out that the dog was later exonerated, on the grounds that he’s a dog. You might think it was hunters who stole Skip’s stuff, so they could use it themselves. You’d be wrong. It turned out to be Polly Samuels McLean and her husband, Andrew. Polly is, was, Park City’s Assistant Attorney. It is, was, her job to prosecute people who broke the law. Polly is now looking for a new job, probably either in the janitorial field, or else the federal government. She should do well in either, provided she can find an employer who doesn’t mind having a criminal on staff. Being a felon might hinder her chances of getting a janitorial job. Andrew and Polly are opposed to hunting, because hunting is bad, and they feel strongly enough about it they were willing to become criminals. Which is admirable, in a way. Ignorant, childish, and stupid, but admirable. It would be more admirable, of course, if they did a little research, and learned that hunting is vital to the welfare of wildlife. Take Africa, for example. After Cecil the Lion was killed by a Minnesota dentist in 2015, the anti-hunters were livid. Despite the fact the hunt was legal, and the dentist was allowed to continue inflicting pain on humans, Cecil was held up as an icon by people who had never heard of him while he was alive. A couple of years later one of Cecil’s cubs was killed, also legally, and the antis went ballistic. African hunting outfitters were forced out of business, and people who would otherwise have gone to Africa to hunt lions decided to stay home. Consequently the lion population got out of hand, and wildlife managers ended up killing a bunch of lions to thin the prides and balance things out. So the lions were killed anyway, regardless of the opinions of the antis. The only difference was that, because of the whining of the antis, there was no income from hunting, income that would have funded wildlife conservation projects and anti-poaching efforts. Because of the antis, all African wildlife took a huge hit, not just the lions that were culled. Trophy hunting is viewed by the antis as not only evil, but the biggest threat to wildlife populations. This is not because anti-hunters are stupid, it’s because they’re ignorant. They seem to be oblivious of the facts. Hunting pays the bill for wildlife conservation, the antis just can’t see it. The biggest threat to African wildlife, in truth, is that they have no value to Africans, outside of trophy hunting. Poachers kill a lot of critters, but average African citizens kill a lot, too. In 2011, the folks in just one Zimbabwean village killed 37 lions, to combat predation. It’s hard to keep the people from killing lions, when the lions are eating their livestock every night, to say nothing of the threat to humans. About twice that many lions are taken by trophy hunters annually in the whole of Africa. Well, they were before the Cecil debacle, anyway. Africans see animals as one of two things: a threat, or a meal. Elephants and predators are particularly threatening, so the villagers are going to kill them any way they can. If trophy hunting is allowed and regulated, the money brought in helps humans and animals alike. When hunting is banned the wildlife suffers, the people suffer, and the poachers run amok. Running amok is never good. What Africa needs is more dentists hunting trophy animals, and fewer ignorant animal rights activists whining about things they know nothing about. And several million game cameras wouldn’t hurt . . .